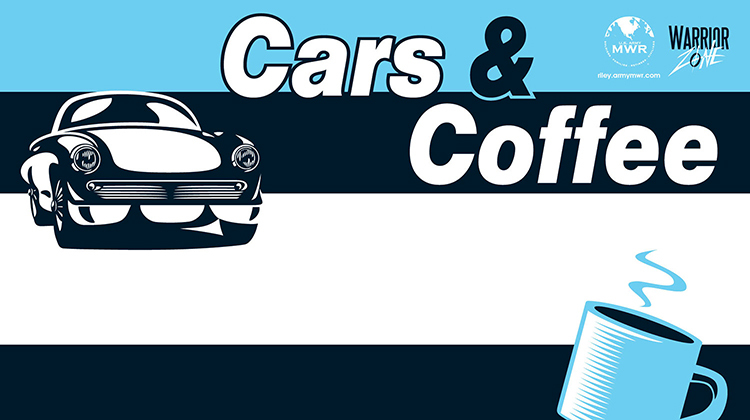 Date: Sep 16 2018, 11 a.m. - 2 p.m.
Cars & Coffee is a once-a-month, informal gathering of car lovers who like to sip coffee, socialize, and talk shop. The meeting is held the third Sunday of each month from April-September. From 11am-2pm, join the Warrior Zone to show off your sweet ride, or just stop by to check out what other car enthusiasts are driving. The Warrior Zone is open to guests 18 and older and is located at 7867 Normandy Dr. For more information, visit riley.armymwr.com or call 785-240-6618, or follow BOSS & The Warrior Zone on Facebook!